From the Supreme Court's behalf and on my own behalf, I congratulate the faculty, graduate students, and graduates of Al-Farabi Kazakh National University in connection with the 80th anniversary of its foundation. Since its inception to the present day, the KNU is one of the most respected and prestigious national universities. And leadership is fully justified. The history of the University is full of significant events and outstanding achievements. There has always been a strong tradition, worked authoritative scientists, the best teachers taught, learned and talented enthusiastic students. Over the years, National University has grown into one of the leading centers for training specialists. He united the talented scientists and researchers, has formed a strong educational and methodological basis, has done much for the development of higher education, the popularization of knowledge, enhance its role in society. Diploma graduate Treasury - is a solid guarantee of deep, fundamental knowledge, practical skills and excellent skills. National University - «alma mater» for many generations of graduates. From the walls came a remarkable galaxy of lawyers, diplomats and experts in international law, journalists. A large number of graduates, including those who have dedicated themselves lawmaking, development and application of the law, have made great strides in the public service, science, business and other fields. Today the National University is developing dynamically, it is actively introduced the most advanced educational programs. Underway unique research in the field of law, international relations, political science, economics. The University is actively involved in innovation and education projects. High educational bracket, research and methodical activity, allowed Treasury to become the first among the universities of Kazakhstan and Central Asian countries included in the European educational space. The University is the winner of the Kazakhstan President's Award for Excellence in the quality of education. This is the highest rating a contribution to the training and development of the entire higher education system of the country. As President of the Treasury of the Alumni Association, I am pleased to note that here with care and respect for the wonderful traditions of their predecessors, seeking to effectively solve the problems facing the university. For its part, the Association is also making efforts to support our university initiatives, the implementation of advanced educational and research projects. I am confident that the team KazNU. 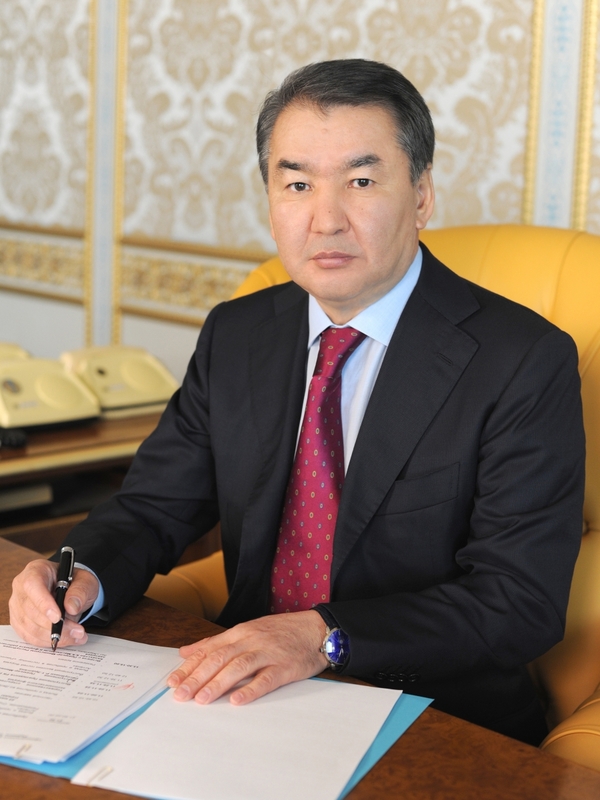 Al-Farabi successfully cope with the tasks set by the Head of the state in the "Strategy-2050" and will make a significant contribution to the implementation of plans on entering of Kazakhstan among 30 developed countries in the world. I wish the students, teachers and graduates to achieve new heights in their studies and work, prosperity and progress for the benefit of society and the prosperity of the state.